I have created an animation that works perfectly with alt+A. I tried to use actuators and a script to make it work in bge, but everytime I run it the plane disappears. Here is the blend file. If you move the mouse, the 3 arrows follow the cursor. When you right click on the ground plane, the animation should have taken place. It does not. Instead the ground plane disappears leaving behind a small green line. #Make the mouse cursor visible during game running time. #Set the current game scene and python controller to variables. #The function "initialization" is responsible for setting all scene objects, object sensors and object actuators to variables. #These variables are created into the function but are for global use. 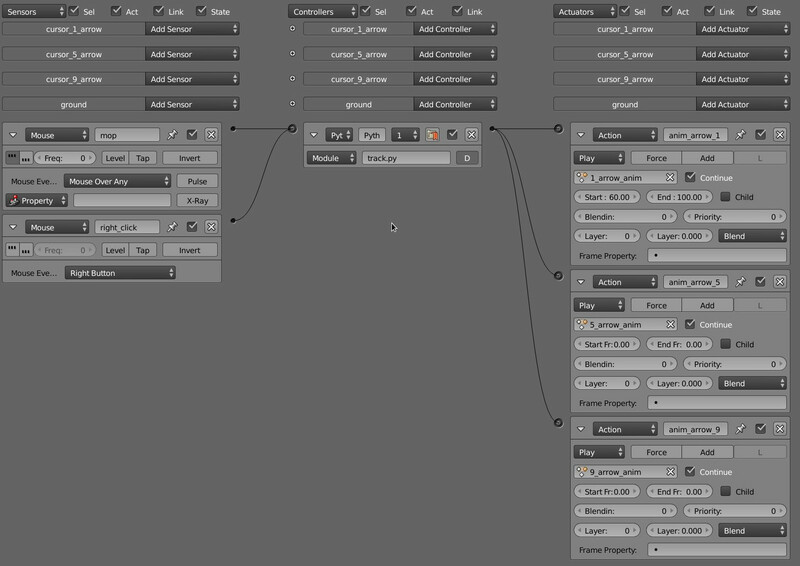 Their names are the names of the objects/sensors/actuators in blender. #The function "empty_to_pos" gives the cursor_empty coordinates on the ground. #The function "cursor_anim" is responsible for the start and end of the cursor animation. Action (animation) actuators need to be part of the object, which you want to animate. 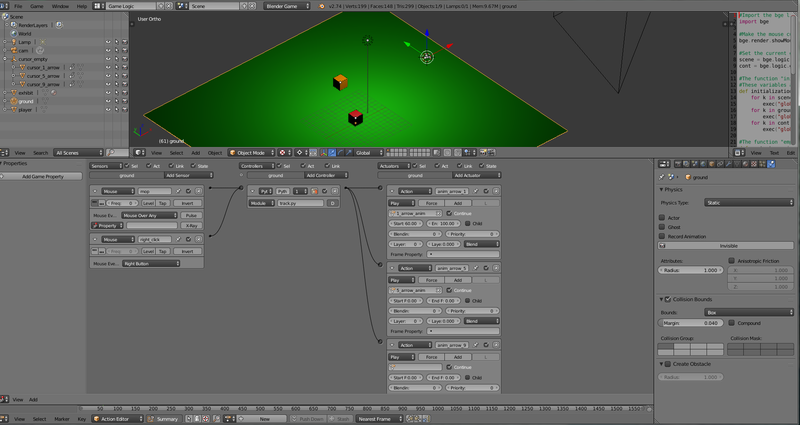 In the .blend, the animations are applied to the "ground" plane instead. You can see the full process in this video. Unfortunately two of the arrows don't animate correctly and I'm not sure why that is. Perhaps their transformations need to be applied? Not the answer you're looking for? Browse other questions tagged python animation scripting game-engine or ask your own question. How to setup a simple scene using Python in BGE? 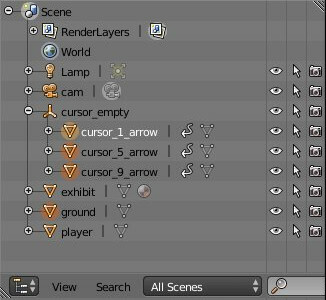 How to get scene properties working without an initialize button? Blender Game - How do I start the game with the cursor centered?